The first event of the PGA Tour season was a good one as Sang-Moon Bae shot 15 under par to win in California. This week we head over to Las Vegas where Tiger Woods recorded his first ever PGA Tour victory back in 1996, for the Shriners Hospitals for Children Open. Webb Simpson won this event last year and shot 24 under par which equalled the tournament record which Ryan Moore set in 2012. Both Moore and Simpson are part of a strong field this week which also features FedEx Cup winner Billy Horschel, USA Ryder Cup player Jimmy Walker and last weeks winner Sang-Moon Bae. 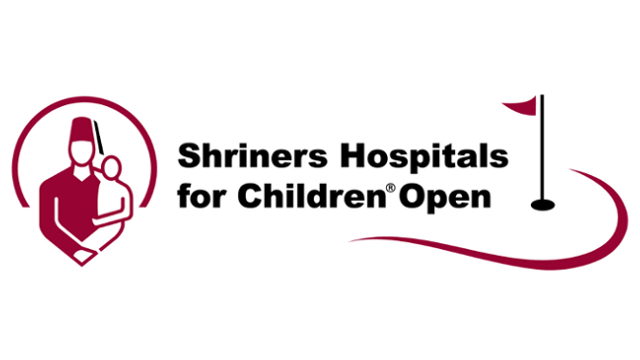 TPC Summerlin hosts the Shriners Hospitals for Children Open for a 12th consecutive year which is beneficial for us from a betting perspective as we know what is needed to win this event. It’s a par 71 that measures 7223 yards although it plays slightly shorter than that as the course is at altitude which means the ball travels further therefore distant control is important. Shorter hitters of the golf ball are more than capable of winning around this track as proven by Ryan Moore and Kevin Na in recent years. I’ll be backing players that are capable of shooting low and making a lot of birdies as scores of 24 under, 24 under and 23 under par have won this event over the past three years. Finally the greens are set to be relatively quick here in Vegas which gives the better players on the greens a slight advantage, this has proven to be the case over the last three years with the previous three winners Webb Simpson, Ryan Moore and Kevin Na all being very good putters. This weeks favourite is Fedex Cup winner Billy Horschel who is far too short at 14/1 when you consider he missed seven cuts last season. Second in the betting is the talented Hideki Matsuyama who recorded his first victory on the PGA Tour earlier this year, he also finished in 3rd position last week which suggests he is playing some good golf. Finally last years winner Webb Simpson is among the favourites at 25/1 despite having a very disappointing Ryder Cup. Brendan Steele – Steele is one of the better players in this field and i’m pleasantly surprised to see him priced at 90/1. He has one PGA Tour victory to his name which he recorded in 2011 and had a good 2013/14 season when he finished 79th in the Fedex Cup rankings. Last week in the first event of the season Steele finished in 21st position which suggests he is playing well, his play from tee to green backed that up as he hit 72.22% of greens in regulation. Brendan has played in this event on three occasions and has made the cut on all three occasions, he finished 13th in 2012 and 16 in 2011 which shows he can play well around this track and at altitude. A good week on the greens is required around TPC Summerlin and Steele is certainly capable of that, last season he was ranked 72nd on the PGA Tour in terms of strokes gained putting. Another important attribute this week is the ability to shoot a low score and make birdies, last season Steele averaged 3.6 birdies per round which is pretty impressive. Jeff Overton – After a promising first week of the season i’m happy to back Overton at a three figure price in the Shriners Hospitals Children Open. Overton is a decent player and has finished inside the top 100 of the Fedex Cup rankings in five of his last six years playing on the PGA Tour although he is yet to record his first victory. Last week Overton finished in 31st position which suggests his game is in pretty good shape, he actually made 21 birdies in California, only one other player made more. Birdies are vital this week as a low score will win this event, last year Overton was ranked 61st on the PGA tour in terms of birdie average which suggests he is capable of shooting a score low enough to win in Vegas. Jeff’s course form is impressive, he finished 19th in 2007, 13th in 2012 and 9th in 2013 which shows he can perform around this track. Scott Brown – Scott is almost double the price I thought he should be this week at 140/1. The American recorded his first and only PGA Tour victory in 2013 when he won the Puerto Rico Open, he shot 20 under par that week, a similar score will be required in Vegas from Thursday to Sunday. In the first event of the season the Frys.Com Open Brown finished in 12 position shooting 12 under par which suggests he is playing well which is obviously very important going into a golf event. Around this track last year Scott shot an opening round of 65 which suggests he is capable of playing well around TPC Summerlin although he did shoot a second round of 77 which led to him missing the cut. Putting has proved to be important in this event in the past and Brown is one of the better putters on the PGA Tour, last season he was ranked 56th in terms of strokes gained putting. Finally birdies are key as a low score will win this week and Scott Brown averaged 3.61 birdies per round last season which ranked him in 54th position on the PGA Tour.